Chances are that either you didn't correctly enter all the details for the account, or AOL doesn't fully support all the features that are part of the IMAP Protocol. 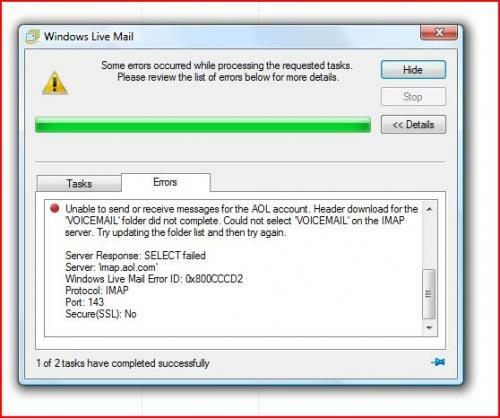 At the bottom it does state some of the limitations that they have imposed on using other software to manage your e-mails. Chances are that this is probably causing a few problems. 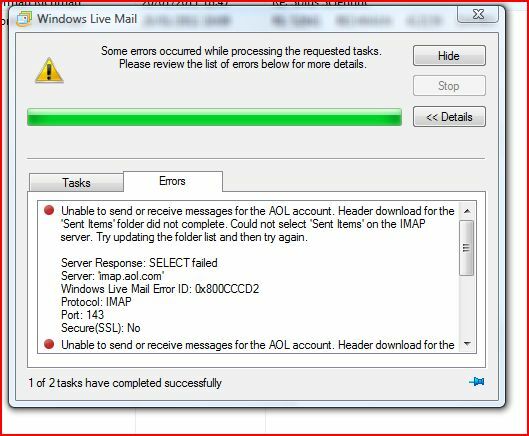 My advice for now would be to delete the account from Windows Live Mail and follow the instructions to set up the account again. 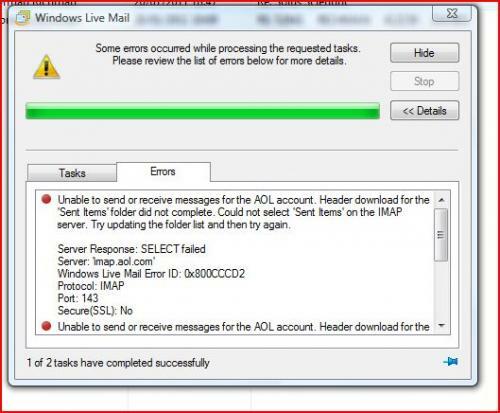 Failing that, it might be an idea to contact AOL directly for full clarification of any restrictions they put on using other e-mail clients. If they reply by saying that it should all work properly, we'll have a closer look at the problem.